Regardless of the size of your backyard or the variety of the plants you cultivate, gardening is far from being an easy task. We all know how hard it is to do chores in your garden to keep it in good shape, especially after a hard day at work. If you feel that gardening is too exhausting, do not despair, for we are here to help! We’ve made a list of five items which are, in our opinion, the best labor saving tools that are bound to turn gardening into a more relaxing activity. 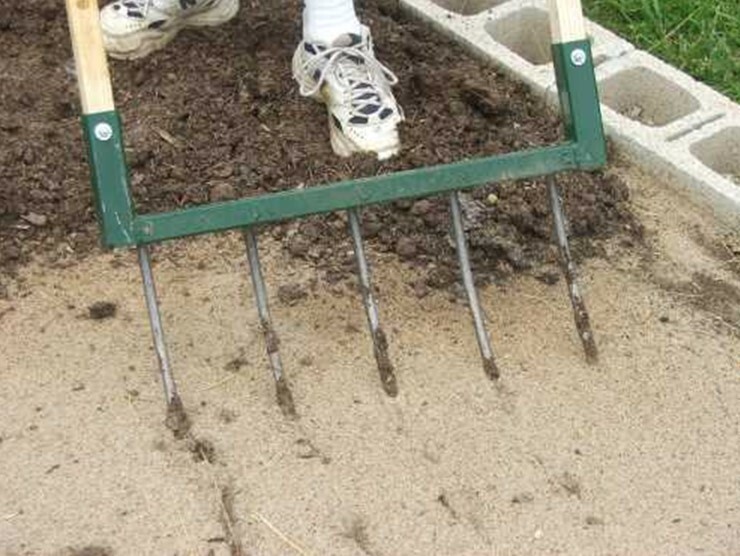 Perhaps, the most important item many gardeners still lack is a simple broadfork. This basic device is designed to loosen your ground, which makes growing vegetables simple as ABC. All you have to do to soften the soil is to dig in. That’s it – so much better than a shovel or a rake! To browse through the selection of sturdy tools that will last a lifetime, take a look at Broadforktool– this site will help you choose the perfect device for your particular needs. Tired of gathering the nuts scattered all across the yard? If so, the most useful tool you could hope to find is the Garden Weasel Nut Gatherer, which does not only do away with the nuts scattered on the ground, but can also gather many other small items, including small garden debris, litter, and even berries. 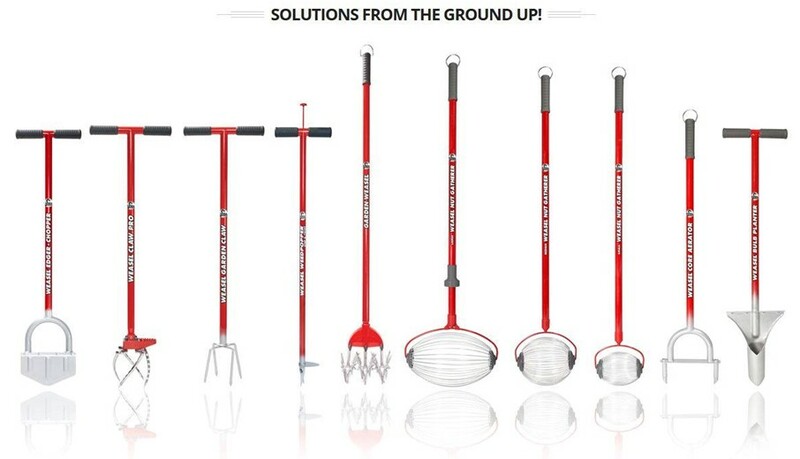 It is an amazingly sturdy and reliable tool that can really do wonders for your backyard! To find out more details, take a look at this Garden Weasel nut gatherer review – it should give you way more insight on the subject. For us garden owners, autumn is always an annoying season, because our yards are constantly filled up with big piles of leaves. We have just the right solution for making autumn enjoyable again: the Leaf Shredder tool. We’re talking about a device that can shred a large pile of leaves into minuscule pieces, diminishing it to only 1/16th of its original size. The tiny pieces of leaves resulted from the shredding process undergo a swift decomposition, releasing the plant nutrients from the composition of the leaves into your garden. 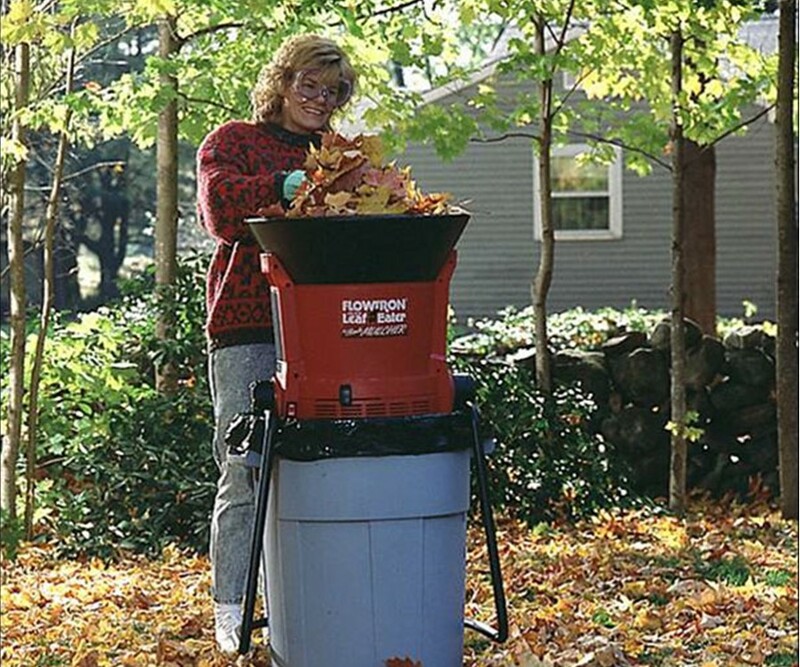 The Leaf Shredder is efficacious, sturdy, easy to use and has a very low weight! Planting seeds or simply tending to the plants that grow in your garden can be quite exhausting and dirty because you to kneel down on the ground. 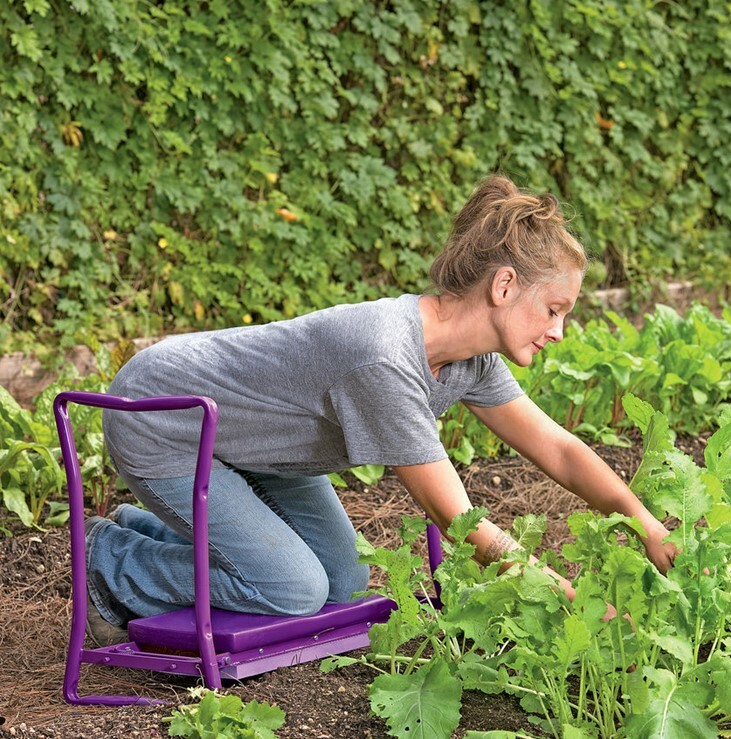 The garden kneeler is an extraordinary tool that can actually turn gardening into a comfortable activity. This is just what you need if you want to avoid the fatigue that comes from straining your body muscles. This device features a large seat, which can easily be moved up and down using nothing other than your arm strength. There is, in fact, a vast range of quality garden kneelers that can be used both as a surface for placing your knees and as a bench. The next item on our list is also very useful for avoiding strain in your shoulders, back or knees. 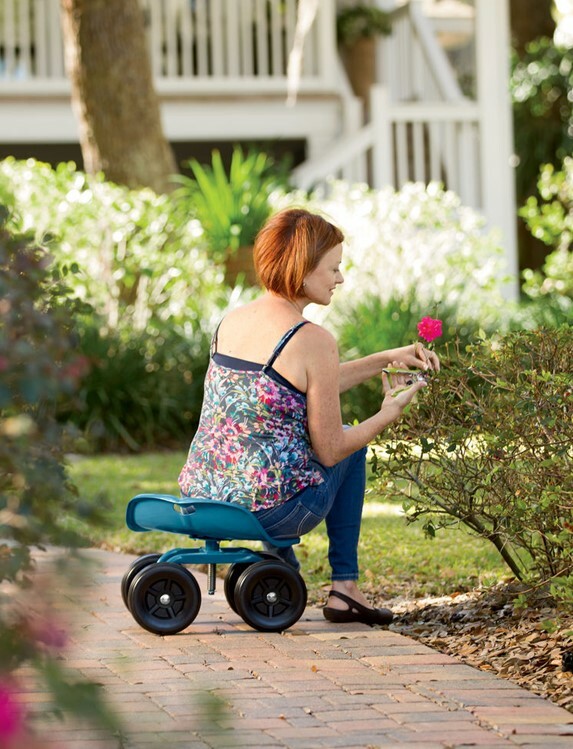 The Low Rider Swivel Scoot is basically a stool with wheels, which can be used to move around when attending to long rows of flowers or vegetables. Seeing as the seat of the device is positioned very low, this tool is great for working at ground level. All you have to do is extend your arm and conveniently reach the areas you need to tend to. Another significant advantage is that the seat can be rotated to 360 degrees. The Little Mule Multi-Cart is a highly practical and resourceful cart that can be used to carry a large variety of items around your house and garden. It can move bags, fabrics, rocks, containers, pots, wood or even propane tanks. 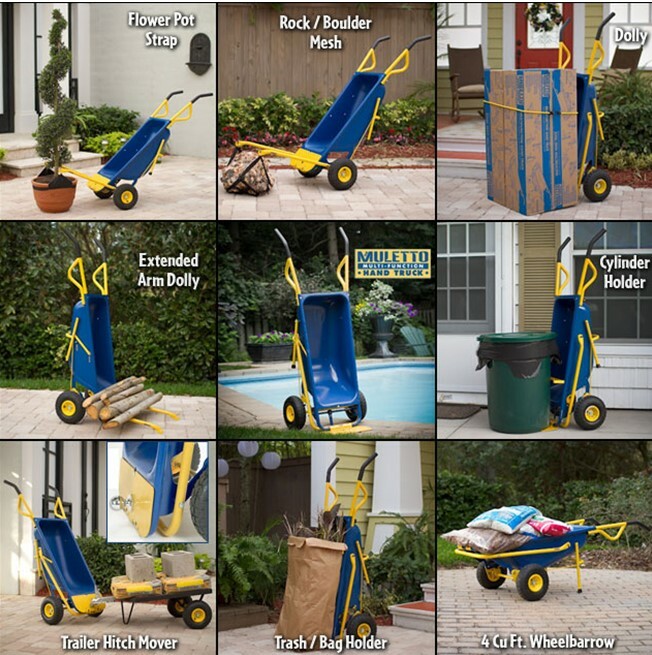 Featuring a ground-breaking engineering, this tool can work both as a wheelbarrow and a hand truck. Converting the Little Mule Multi-Cart from one position to the other is a piece of cake and, to ensure your safety, the tool can be locked into each position. Featuring a capacity of 4 cubic feet, the device is very easy to assemble and store.